reimbursements, board governance, fringe benefits, and much more. The 7 Challenges to Handling Designated Gifts Webinar with Dan Busby, ECFA president, McKinney, finance manager for Christ Community Church of Milpitas, and John Van Drunen, ECFA vice president, discusses issues commonly faced by churches including whether a church should accept all designated gifts and the responsibilities of the church if designated gifts are accepted. Many designated gifts are welcomed by churches and can be used to fulfill the church’s mission—including gifts for a capital campaign, short-term mission trips, benevolence and much more. Dr. Barry Corey, President of Biola University, thoughtfully shares characteristics of Godly development that were modeled by his father. His thoughtful comments will encourage anyone involved in resource development. This Webinar-On-Demand will focus on Accelerating Generosity and Giving in Your Church with Chris Willard, co-author of Contagious Generosity: Creating a Culture of Giving in Your Church. Preaching/teaching generosity because of what they want FOR their people, not FROM them. Connecting generosity with SPIRITUAL FORMATION instead of FUND DEVELOPMENT. USING DATA to encourage consistent giving and report ministry results. Understanding the unique spiritual needs and giving habits of people in the congregation who have been FINANCIALLY BLESSED. Asking Is Just the Beginning! Capital campaigns are used to raise funds for buildings, endowments, scholarships, and other specific purposes. The Clergy Housing Exclusion & Love Offerings Webinar with Michael Batts, president and managing partner of Batts Morrison Wales & Lee, and Michael Mosher, attorney and founder of Mosher & Associates, LLC, covers the clergy housing exclusion and the complexity of reporting issues and limitations as well as understanding and reporting the love offerings for churches. Definition of a taxable "gift"
An unconditional transfer of cash or other assets to an entity or a settlement of cancellation of its liabilities in a voluntary nonreciprocal transfer by another entity acting other than as an owner. Accountability for funds received and expended for disaster relief should be based on certain best practices. Congress has provided special rules related to the contributions of motor vehicles, boats and airplanes. The gifts of these items may not occur frequently for you but when one of these donations is received, you need to be prepared to properly apply the rules in compliance with the law. 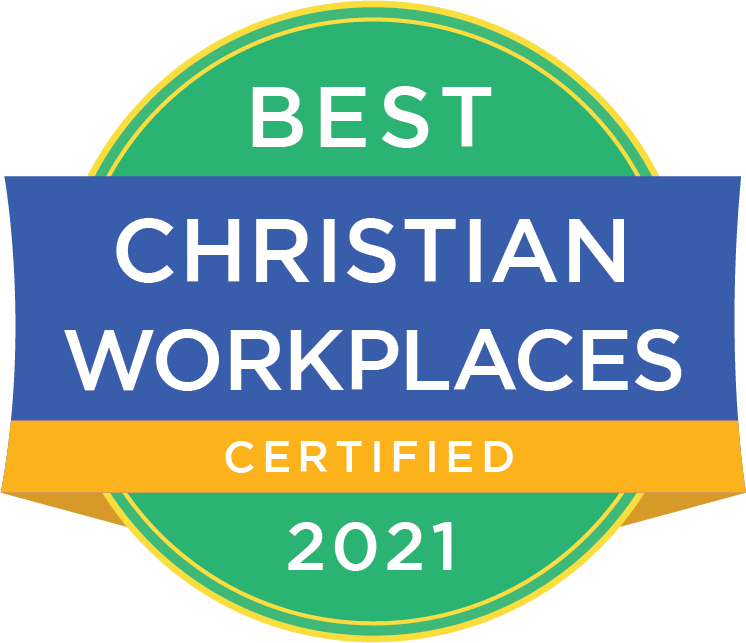 Churches using this concept generally determine an amount each staff member is responsible to raise. In the past few decades, “We’ve gone from dial-up Internet access in our basements to high-speed connections in our pockets,” says Steve Hewitt, editor of Christian Computing Magazine. Adequate records should demonstrate the victims’ needs for the assistance provided. This document provides a definition of a donor-advised fund. An explicit gift restriction occurs when a donor sends a letter, indicates a restriction on a response form, or provides other specific communication to the church identifying a contribution as restricted in terms of purpose or time. 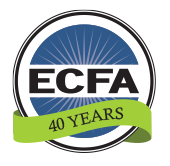 This Webinar-On-Demand will focus on Getting It Right Every Time with Restricted Gifts with Dan Busby, president of ECFA, Michael Martin, vice president and legal counsel of ECFA, and John Van Drunen, executive vice president and general counsel of ECFA. Be sure to check out the PowerPoint download and bonus eBook resource above the video recording under the Handouts & Links dropdown menu. The IRS clarified that to deduct a contribution to help pay a minister's health expenses, the donor’s intent in making the payment must have been to benefit the church and not an individual pastor, even if the donor simply desired to "bless" the pastor. Charitable deductions to U.S. charities, including churches, with the gift restricted for a foreign charity are only permitted in certain situations. When an individual ultimately benefits in some way from a gift, a variety of tax issues may arise. Churches and other nonprofits must be clear in their communication and control over contributions in order to protect their donors’ tax deductions. The distinction between a giver's restriction and giver's preference can make the difference between the giver's eligibility for a charitable tax deduction and no tax deduction. A giver stipulation that specifies a future and uncertain event whose occurrence or failure to occur gives the promisor a right-of-return of assets he or she has transferred, or releases the promisor from its obligation to transfer assets. A giver-imposed stipulation that specifies a use for the contributed asset that is more specific than the broad limits imposed by the church’s purpose and nature. An implicit gift restriction occurs when there are certain circumstances surrounding a gift that makes the giver’s restriction clear even though there is no explicit gift restriction. The tax law provides new charitable giving opportunities through IRA distributions for church members. How can ministry in the church be accomplished most effectively and most seamlessly generate maximum Kingdom impact? A citizen, born in or naturalized in the country where a church conducts missionary activity. This test should include a set of criteria by which a church can objectively make distributions to individuals who are financially or otherwise distressed. A transfer of money or other property from one individual to another individual, voluntarily, without any obligation nor a consideration for services rendered. Most charities simply do nothing when it comes to planned giving. On average, Americans have approximately 9 percent of their net worth in cash and 91 percent in assets. Yet, nonprofits continue to rely on direct mail, fundraisers, and golf tournaments to meet their budgets; and make no attempt to help their donors learn how to gift assets. This white paper examines the cost of doing nothing when it comes to planned giving. A preference indicated by a giver expressing the giver’s wishes, desires, or advice on how or when the gift will be used but is not restricted for a specific individual. A church's policy to prohibit the acceptance of restricted gifts only has a limited effect. A donor has requested a report on how her gift was used for a certain project. What is appropriate for our church to provide to this donor? When a giver receives goods or services of value approximate to the amount transferred, there is no true gift. Many churches sponsor short-term mission trips and encourage their constituents to participate in the trips. Additionally, ministries may send representatives to a mission field to assess certain field-specific issues before a ministry begins to support a particular field or as a qualifying event contingent on a church’s continuing to support a field. This document includes sample language for your church’s policy. Scrip, in the form of a gift certificate or a gift card, is sometimes purchased by a church from a merchant at a discount and may create special tax considerations. Should We Accept this Gift? Stewardship is a blessing, a means through which we grow in our relationship with God. If this is true, then it’s a topic that must be discussed within the community of faith and within our families. This white paper will explore some ways to help Christian leaders and believers find the fullness of God’s blessing. A statement by a giver which creates a condition or restriction on the use of the transferred resources. A gift that is donor-restricted for a stated period of time or until a stated event has occurred. The part of net assets for a ministry that is temporarily restricted by donor-imposed stipulations. This article written by Michael Martin for The Church Network Insight magazine will help church administrators understand the importance of ensuring that gift receipts provided by the church meet the requirements of federal tax law for those who will use the receipts as substantiation when filing their returns and claiming a charitable deduction. The Four H's of Financial Wisdom is an interactive infographic helping people engage with the philosophy of "God Own's It All". A variance power is the authority granted to a church by a court with respect to the use of a giver-restricted gift.